ARCHOS Smart Home Connected Objects were expected to ship in April-May 2014 as we reported earlier. 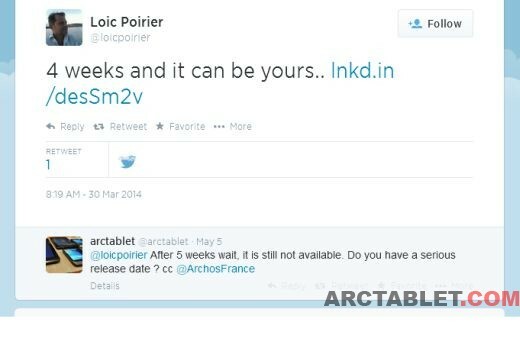 At the end of March 2014, ARCHOS CEO Loic Poirier was posting on Twitter: “4 weeks and it can be yours” together with a link to an Smart Home Picture. Time has passed and 9 weeks later, there are still no sign of the product on the shelves or ARCHOS online store. Asking Poirier about an update on the release date on Twitter did not bring any answer. As usual with ARCHOS, their communication on release dates should be taken with a pinch of salt. We have scoured the web to find some updates about the ARCHOS Smart Home product release. 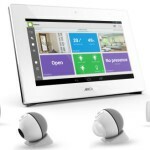 ARCHOS Smart Home ready for summer at €249 ? A recent article on zonehightech.com French website mentioned the first product in the ARCHOS Smart Home family should ship starting this summer. (in French: “Dès le début de cet été, nous devrions voir arriver les premiers produits dès l’été 2014”). As we already reported in March, the starter pack for the ARCHOS Connected Home products should include the Smart Home tablet and six accessories: 2 Mini-Cam, 2 movement detector and 2 Weather Tag (humidity / temperature) sensors. With the new release delay, the price has apparently increased by 25% as zonehightech.com mentions a retail €249 instead of the earlier €199. An early release in the UK ? The UK exclusivity runs for a period of one month from June 1st when the first kits will begin shipping from Clove. […] The ARCHOS Smart Home is available for order now, at a price of £199.99 from Clove. The listed price of £199.99 at Clove is in line with the new price for European markets and may confirm the product price increase. 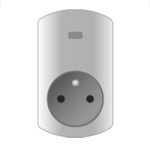 We reported about Webee Smart Home, another automation solution crowd-founded on indiegogo.com. At first look we found that Webee solution, compared to ARCHOS Smart Home products, offers a really open eco-system supporting more communication protocols and compatible with sensors and appliances from other brands. Like the ARCHOS Smart Home, Webee Smart Home shipping will be late as well as the delivery to the campaign founders should to be shifting from May to late June. We are talking about the ARCHOS Smart Home products here.